Have you or a loved one been injured in an accident? If you have been wronged by a negligent or careless individual, you owe it to yourself to seek the compensation to which you are legally entitled. At Tijerina Law Firm, PC we understand the difficulties that you are facing. Along with an injury comes financial hardship, pain and suffering, emotional distress, and possibly permanent damage or disfigurement. 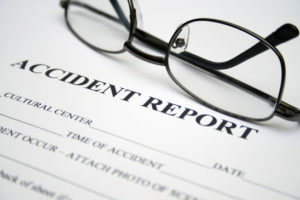 At our firm, we have extensive experience handling personal injury cases, and we know how insurance companies operate. Unfortunately, insurance companies only look out for their own interests, and they will do everything in their power to minimize, delay, or deny claims made by your policy. That is why it is so important to obtain the help of an experienced Texas personal injury attorney. A skilled lawyer can help you strategically tackle these obstacles head-on and improve your chances of obtaining a favorable outcome in your case. If you or a loved one has been hurt in a car accident, slip and fall accident, or other accident due to the negligence of another person or party, you may have the right to seek compensation for your medical expenses, lost wages, rehabilitation expenses, and pain and suffering damages. The aftermath of an accident can be difficult for victims and families alike. You might be struggling to adjust to lifestyle changes and may be having difficulty making ends meet, paying your bills, and covering medical costs. Fortunately, the law offers protections to individuals who have been hurt due to the negligence of another person, party, or company. The Tijerina Law Firm, P.C. are personal injury attorneys in McAllen, Texas who work with victims and families to help them seek the recoveries they may deserve under the law. You may only have a limited amount of time to make a claim. Statute of limitations may limit the time you have to seek a recovery from insurers and negligent parties. Let the Tijerina Law Firm, P.C. handle your claim and help you get the best possible recovery under the law. What is my Personal Injury Claim Worth in McAllen, Texas? Negligence. The degree of fault the other person or party holds will play a role in how much you can collect. The more at fault the other party is, the more you can collect. The Tijerina Law Firm, P.C. are personal injury lawyers in McAllen, Texas who can review all details to show the degree of fault the other party may hold, to help you get the best possible settlement under the law. Medical Costs. In addition to looking at past medical bills, your personal injury lawyer will estimate future medical costs. This might mean speaking to medical experts and looking at your diagnosis to determine how much the cost of future medical expenses might be. Lost Wages. Like medical expenses, you may be entitled to seek damages for future medical expenses or work retraining costs, if you need to change jobs due to your injury. Pain and Suffering. While pain and suffering damages are the most subjective damages you might encounter, they are also important. If you have lost the ability to enjoy former life activities or if you have experienced major lifestyle changes due to disability following your personal injury, the Tijerina Law Firm, P.C. are personal injury lawyers in McAllen, Texas who can help you make a claim. Protect your rights today. Speak to the Tijerina Law Firm, P.C. to learn more about the recovery you may be entitled to receive for your medical costs, lost wages, and pain and suffering. Our attorneys can speak to insurance adjusters, write demand letters to negligent parties, and even take your case to court, should litigation be required. Property owners, drivers, and companies have a responsibility to be safe and to keep others safe. When they fail to do so, accidents can occur. By seeking justice for your injuries, you hold negligent parties accountable for their errors and possibly prevent future errors from occurring. Contact the Tijerina Law Firm, P.C. in McAllen, Texas today and let our personal injury lawyers fight for your rights. With over 12 years of experience, our team has extensive experience representing clients in county, state and federal courtrooms in Texas. Copyright © 2019 Tijerina Law Firm, PC - All Rights Reserved.